The Shadow Trooper is a Shepperton Design Studios signature piece. 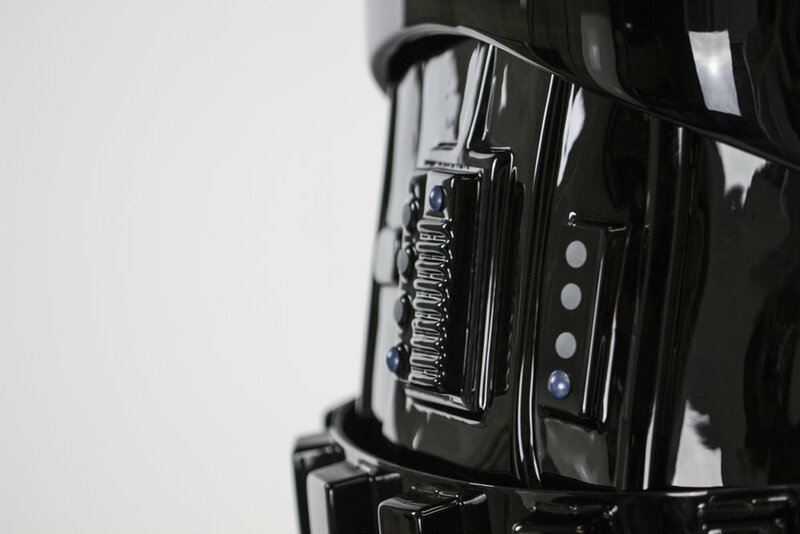 A combination of high gloss, grained and satin black ABS mouldings have been used to create a dramatic set of armour that emphasises the organic/ formed detail found in the original screen-used pieces. 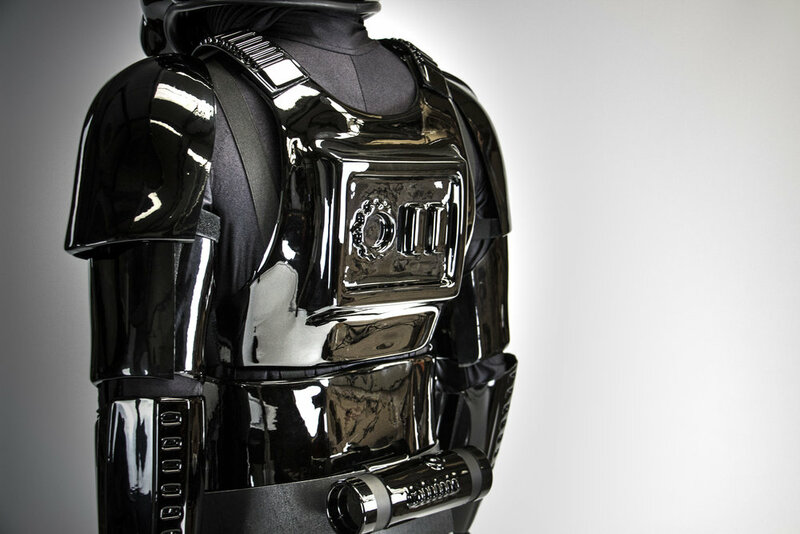 Cast from 'A New Hope' legacy moulds this armour maintains an incredible level of original detail. Andrew Ainsworth and his team have used modern thermoplastics and time tested techniques to produce a set of armour that looks great on a mannequin and can be worn for active trooping.